One of the challenges of owning a direct sales business is maintaining a steady audience at each event. The most obvious reason for trying to maintain an audience is to make sure you have as many people to sell to as possible. Another reason is that a declining audience is contagious. Once you allow your attendance to slide at one event, it can start happening at every event. There is always a direct sales tip you can give your associates that will help reduce the number of cancellations for your events. The key is knowing which tips work and which ones do not. If you have home parties too frequently with the same hostess, then your attendance is destined to drop. If you want to maintain excitement and interest in the products that you sell and the events that you hold, then avoid having too many events in the same circles of guests in the course of a year. A few very successful events will be much more profitable and good for your business than declining attendance to regularly scheduled events. A good party tip is to create a mailing list and stay in touch with all of your hostesses and your customers. When you have an event coming up, send out a postcard that reminds your customers of the date. You can even create referral incentives where each current customer can get a free gift for every referral they bring with them who makes a purchase. Not only does this maintain your attendance, but it will increase it as well. 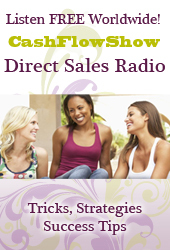 Direct sales events are things that people make plans for attending. In some cases, those plans may involve babysitters or some other kind of extra arrangements. If you cancel your event, then you are less likely to see as many customers at your next event. Regardless of what you have going on, you should never cancel an event. If you are absolutely unable to attend one of your events, then have an associate on standby who can host the event for you. When you put these party plan sales tips into your business you will create a consistent income year round. In the world of direct selling host and guest cancellations can mean lost revenue and lost momentum. As a professional direct sales consultant, it is your job to make sure that you maintain contact with your customer base and remain proactive about promoting your events. As long as you stay energized and active when it comes to promoting and staging your events, you will be able to grow your business.